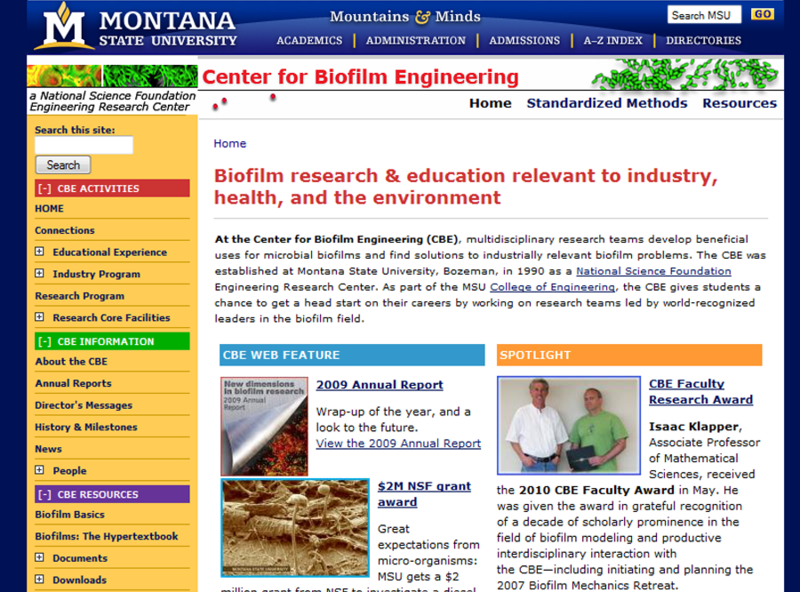 The Center for Biofilm Engineering is an organization on the Montana State University campus. We installed the Drupal Content Management System, in the process transferring all of their content from their existing static files into the system. In the process, all the content became searchable, taggable, and was better cross-linked, creating a more thorough web of rich content from which visitors could search.